As we are all still making sure to stay in line with our goals let’s make sure we are achieving the correct goals. The worst thing is to pursue something only to find out it’s not for you. For example, when we major in Business Administration for three years only to find out our real passion is Education. We feel like we have wasted our time. The same is true when pursuing any goal financially, spiritually, or physically. I have found we often don’t pursue our true passions or goals because we are ashamed of them. Tim Tebow is currently a great example of a young famous athlete that makes it quite clear what he has a passion for sharing his faith and football. 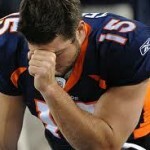 However, he makes it clear that he wouldn’t be as highly favored in football if it wasn’t for his faith in Jesus Christ. 1. Does anyone know your true passion? 2. What do you want to be remembered by? 3. Are you making an impact? Call to Action: Today do something you’re usually ashamed of. Make your mark! Delisha Easley had the desire to serve and encourage others at the tender age of 12, when she began traveling on mission trips to places, such as Mexico, Guatemala, France, and England. Easley went on to receive her Bachelors of Science degree in Special Education from Oral Roberts University and Masters of Science in Psychology from University of Phoenix. Easley has recently become a certified life coach. 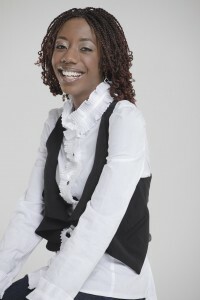 She has been featured in the #1 Urban Christian lifestyle magazine, Gospel Today, as a topic of interest. Easley knew she was destined for a life-time of servant-leadership. Easley is brimming with passion for her generation, especially women from their adolescence into their early adulthood. Because of this passion, she has launched her own life coaching business called Destiny Lived Everyday Unlimited, LLC (DLE Unlimited) in Spring 2011. Her heart’s desire is to share her life experience, coupled with her education, to help influence other young people to achieve their own dreams and fulfill their purposes.